The UFC announced on Wednesday afternoon that they have retained the USADA as the independent administrator for the new anti-doping policy. 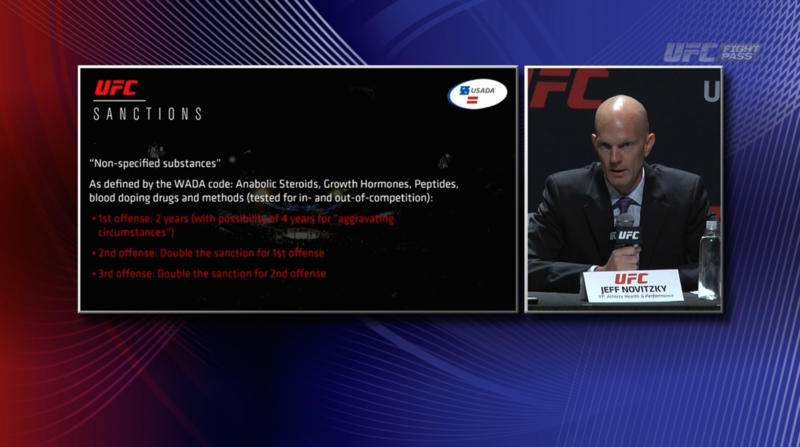 The UFC’s goal in this program is the have the best anti-doping program in all of the professional sports. 2-year suspension, with the possibility of an additional 2 years for aggravating circumstances. So potentially 4 years for 1st-time offenders. Pre-Fight and a Post-Fight test will be within 6 hours of a fight. The 2nd offense would be double the sanction of the 1st, and the 3rd offense would be double of the 2nd. The UFC has removed themselves from the testing and let the USADA do all the testing and testing will start on July 1st with everyone under a UFC fighter contract being obliged to undergo these tests. Finally, the UFC is funding the entire program and each UFC fighter will take an average of 5.5 drug tests per year.